Shuhei was born and grew up in Yokohama, Japan. He moved to California when he was 16. He graduated with B.S. in Chemistry and Biochemistry from UC Santa Barbara under the guidance of Prof. Jeffrey Bode. 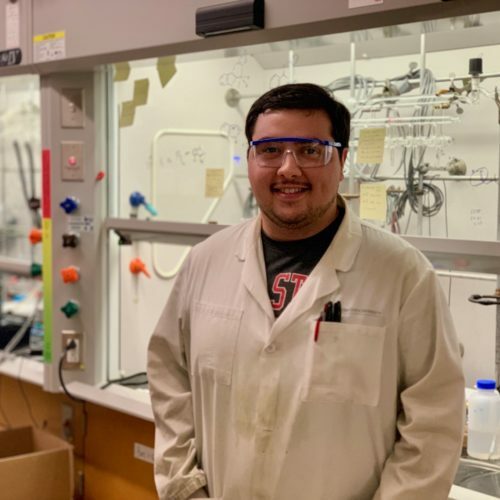 Then he stayed in CA, went to UC Davis studied about heterotriquinane and earned a Ph.D under the guidance of Prof. Mark Mascal. 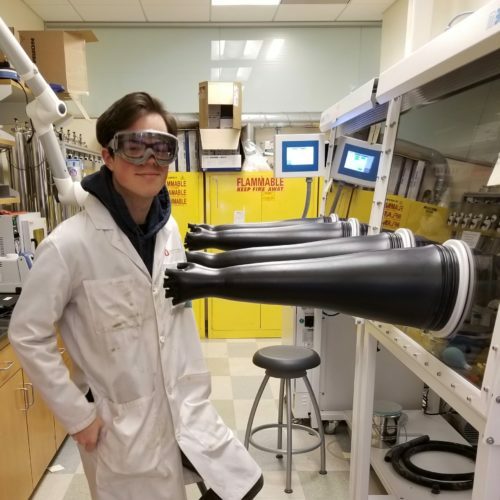 Now, he moved to The Ohio State University to study electrocatalysis. 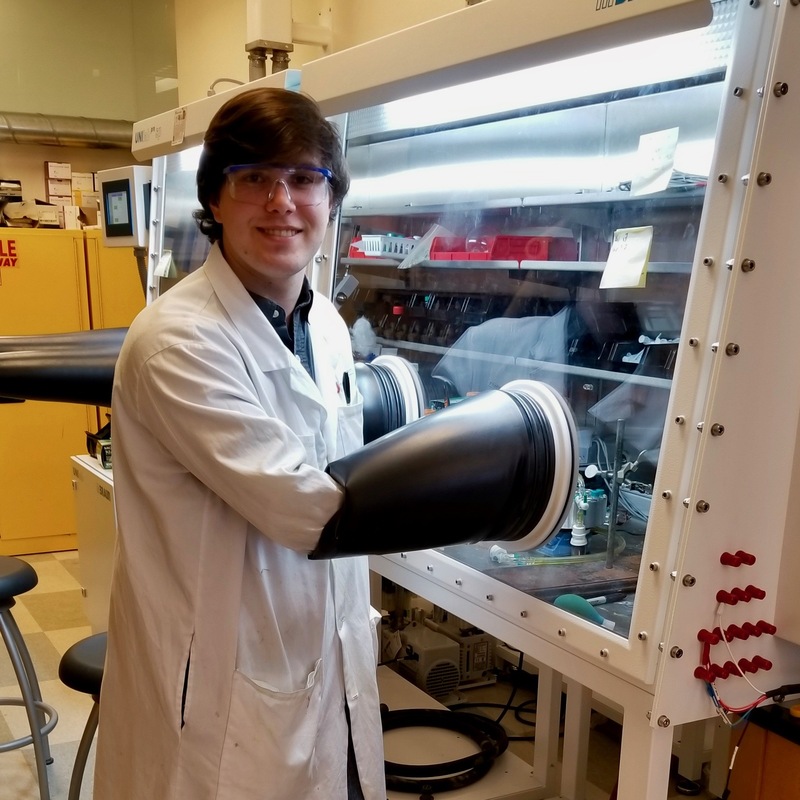 Taylor Hamby received his bachelors from The University of South Alabama in 2017, where he worked with Dr. Richard Sykora on the synthesis and characterization of novel lanthanide complexes containing aurophilic interactions. Taylor’s hobbies include rock climbing and taking CVs that are perfectly duck-shaped. 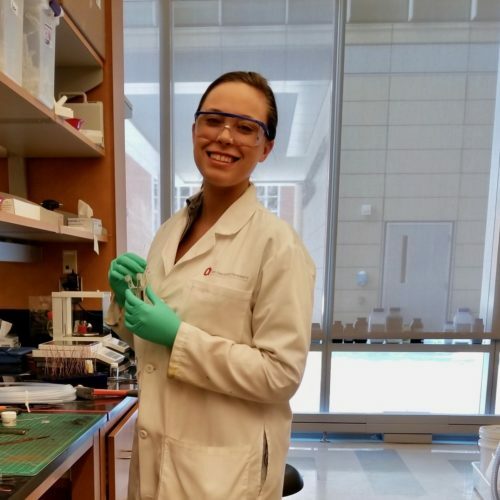 Taylor joined the Sevov lab in July 2017. Heather Hintz is originally from Madison, Wisconsin and attended the University of Wisconsin-Eau Claire (UWEC) for her Bachelor’s degree. She studied Biochemistry with a focus in Organic Chemistry. During her time at UWEC she conducted research under Dr. Bart Dahl in an organic synthesis lab where she worked on the syntheses of molecular switches. Blaise Truesdell grew up in Leawood, Kansas and graduated with his B.S. in chemistry from the University of Missouri, Kansas City in 2016. Ben grew up in Cleveland, Ohio and decided to join the Buckeye family. 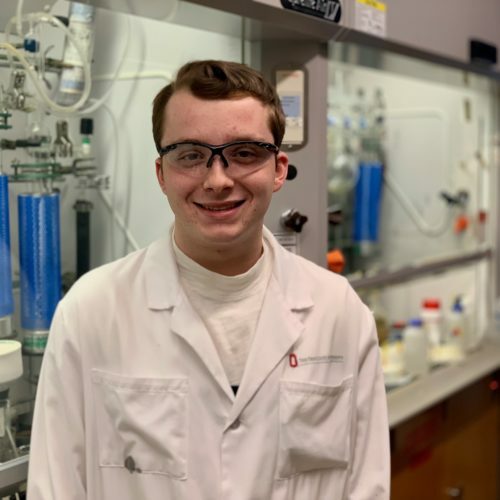 At The Ohio State University, Ben conducted undergraduate research under the supervision of Dr. Psaras McGrier working on the synthesis of covalent organic frameworks. He earned a B.S. 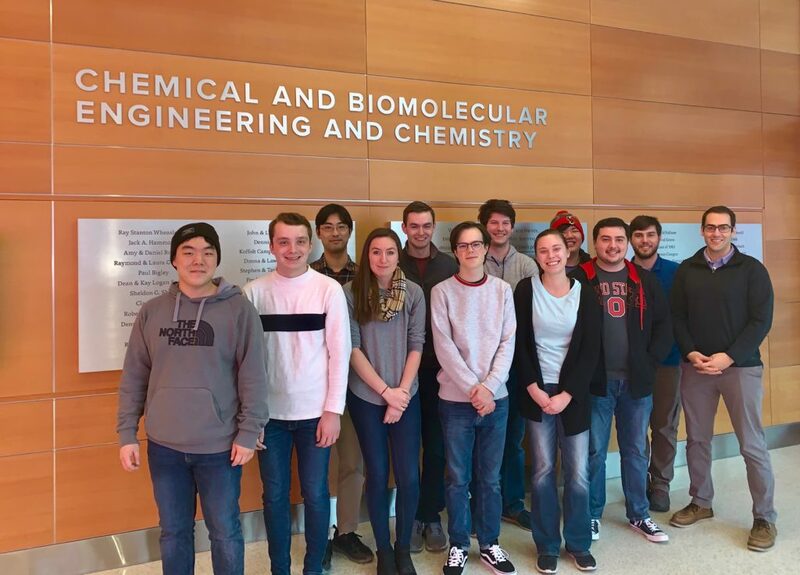 in biochemistry and neuroscience in 2017 and elected to continue his career at OSU by joining the Sevov group that same year. Curt Wong grew up in Kaneohe, Hawaii. He received a B.S in Biochemistry from Gonzaga University (a.k.a the best basketball school in the nation) in 2017. 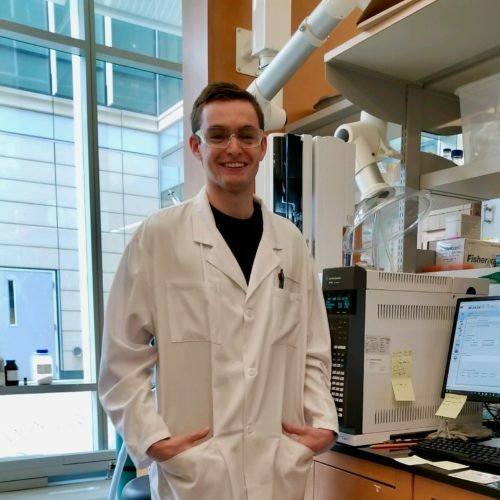 He did undergraduate research related to supramolecular biomimetic chemistry using a cucurbit[n]uril host. During his free time, he enjoys playing video games and watching Netflix. Shania Hayward grew up in Saratoga Springs, New York. She received a B.S in chemistry from Le Moyne College with a research focus in organic synthesis. 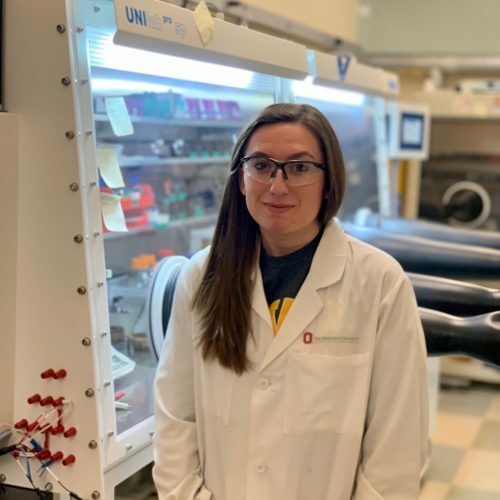 In 2019, she continued her academic career at OSU as a joint student of the Sevov and Nagib groups. Matt LaLama grew up in Girard, a small suburb of Youngstown, Ohio. He received a B.S in chemistry from Youngstown State University in 2016. 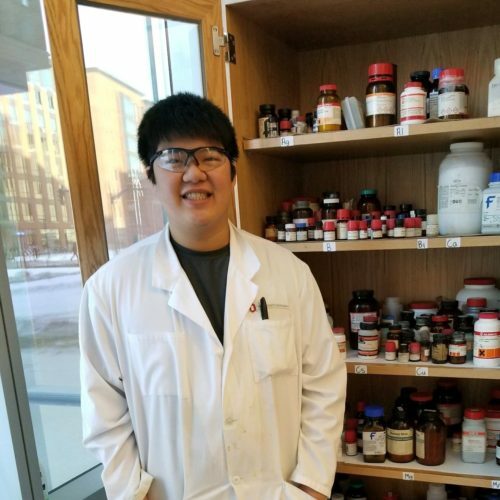 Following his work in crystallography for his first three years of undergraduate research, he set his sights on the realm of organic synthesis. Matt received his M.S. 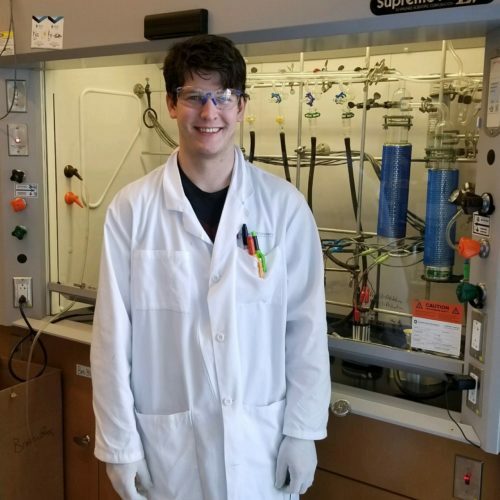 in chemistry from his alma mater with a research focus on the synthesis of natural products via rhodium catalyzed C-H activation. During his free time, he enjoys playing video games, hanging out with friends, and enjoying a night at the bar. Gyunhee is from Daejeon, South Korea. He received his B.S. in chemistry from Chungnam National University. 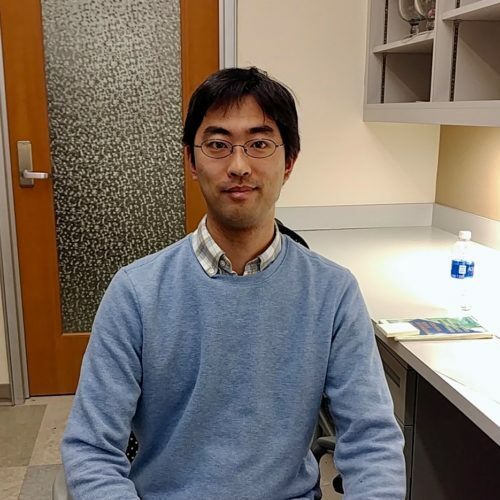 After his graduation he joined Korea Advanced Institute of Science and Technology as an appointed researcher under the supervision of Dr. David G. Churchill, conducting research on fluorescence molecular probes for the detection of biomolecules. 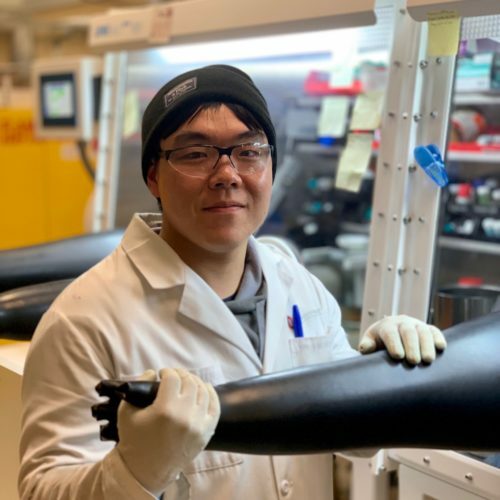 Later, he joined Korea Research Institute of Chemical Technology as an intern researcher under the supervision of Dr. Young-Pyo Jeon, conducting research on carbon fibers. He likes any form of art, so during his free time he enjoys music, movie, literature, and cooking. David is from Waynesville, Ohio and is a sophomore at The Ohio State University studying towards his B.S. in chemistry. Kyle Yates grew up in Concord Township, Ohio. He is studying towards degrees in Chemistry and French with hopes of working and studying internationally. In his free time, he enjoys reading the French dictionary and watching reality television.